On May 18, 2018 [4 Jestha, 2075], Council for Technical Education and Vocational Training (CTEVT) published the notice regarding examination center of Scholarships programs for Diploma and Certificate level. 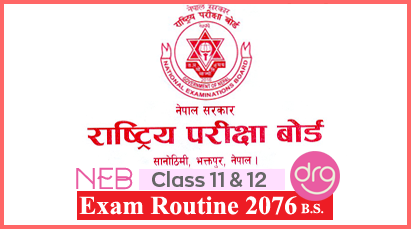 The examination will be held on May 25, 2018 [11 Jestha, 2075] and the examination starts from 7:00 am onwards. 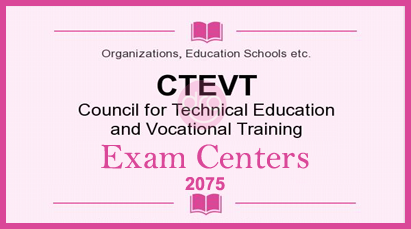 0 Response to "Exam Centers For Diploma/Certificate Level 2075 | Scholarships Programs | CTEVT"